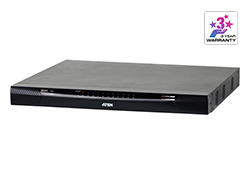 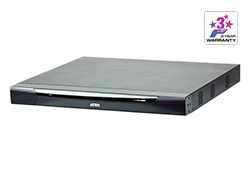 The KVM over IP Console Station KA8278 is a standalone console that replaces PC or NB, enabling users to remotely access, monitor and control all servers connected to multiple ATEN’s KVM over IP switches* with impenetrable security against virus threats. It also supports various data encryption methods, ensuring impervious data protection. 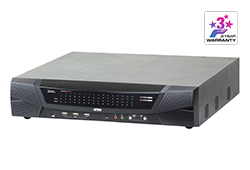 The KVM over IP Console Station can be deployed anywhere instant access is needed and stringent security required, ideal for applications such as studios, offices, data centers, broadcast stations, control rooms, or network operations centers (NOC). 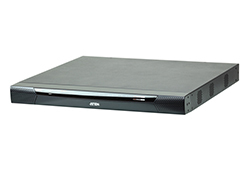 The KA8278 supports USB mouse/keyboard and two USB ports for Virtual Media function, and supports 1 VGA plus 1 HDMI video outputs at resolutions up to 1920 x 1200 @ 60 Hz. The KA8278 also enables users to multitask across two displays with a single keyboard and mouse. 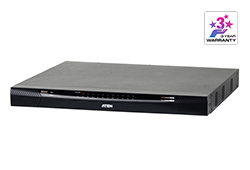 In addition, the KVM over IP Console Station provides Panel Array Mode™ function, enabling administrators to monitor the video output of up to 64 servers simultaneously. The feature makes it possible for previewing the content of all the ports at the same time, which is especially suitable for environments such as manufacturing and surveillance that often require monitoring of a much higher number of ports. 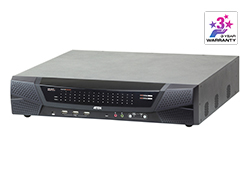 The KVM over IP Console Station can be set on a desk, mounted on a wall or at the rear of a rack with its spacesaving 0U rack mount design. 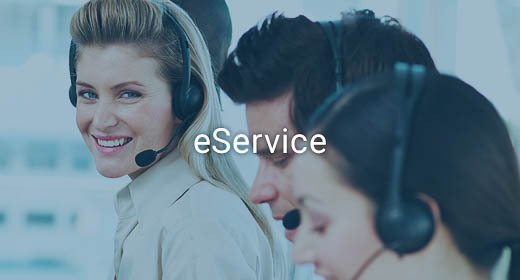 It is flexible and easy to install, and provides a GUI with multi-language interface for device management, user profile customization, as well as hassle-free configuration for large deployments. *Compatible KVM over IP switches include KN1132V, KN2116VA, KN4116VA, KN2132VA, KN4132VA, KN4164V, KN8132V, KN8164V, KN2124VA, KN4124VA, KN2140VA, and KN4140VA. 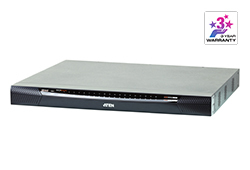 The aforementioned KVM over IP switches require FW v1.6.151 or above to support the KVM over IP Console Station.